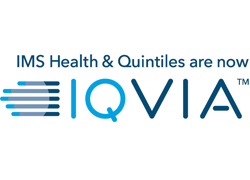 Information can be hard to access and often only available to patients in a traditional form – leaflets are available in clinics but these often don’t suit learning styles particularly when people are used to visual content in their everyday life. Diabetes Matters is an innovative patient support programme (including e‐commerce) for both people with diabetes and healthcare professionals managing the condition. It specifically focuses on patients using Sanofi injectables (insulins & GLP‐1) or blood glucose monitors (BGM). Access is provided for patients to information via multiple channels (DVD, YouTube, leaflets, online, phone) and in multiple languages. Diabetes Matters aims to support people with diabetes who feel they do not have access to information they need to take control of managing their disease. It enables information to be accessed via phone or free e‐shopping facility on the website, via DVD or YouTube, with over 50 items of multi‐language patient information or BGM/ device support (such as replacement batteries or replacement cartridge pens) available for delivery direct to clinic or patient’s home. 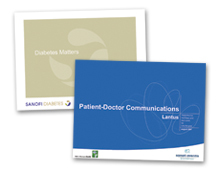 The launch of Diabetes Matters has achieved educational and support benefits for patients and HCPs as well as relationship, reputation and commercial benefits for the Sanofi Diabetes franchise. This reflects the way business needs to be done and we really liked their approach. They were very clear about what they needed to do and they achieved great results, using this programme as a galvanising force to move forward. Very impressive.